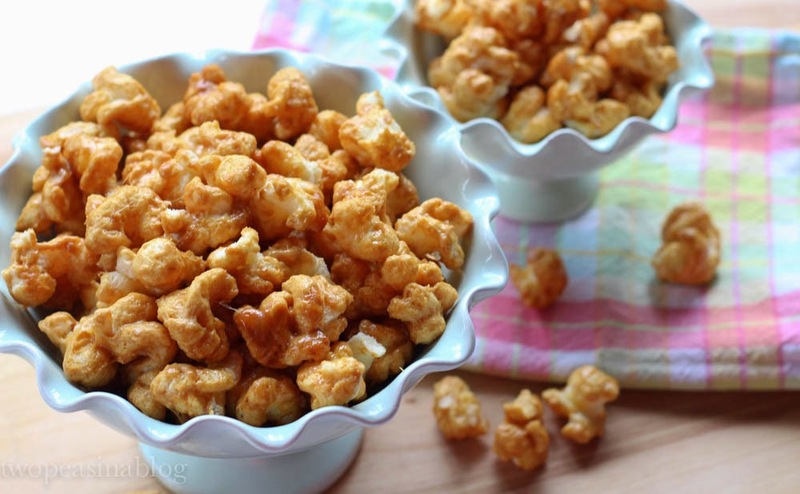 Puffed Popcorn!! Delicious. 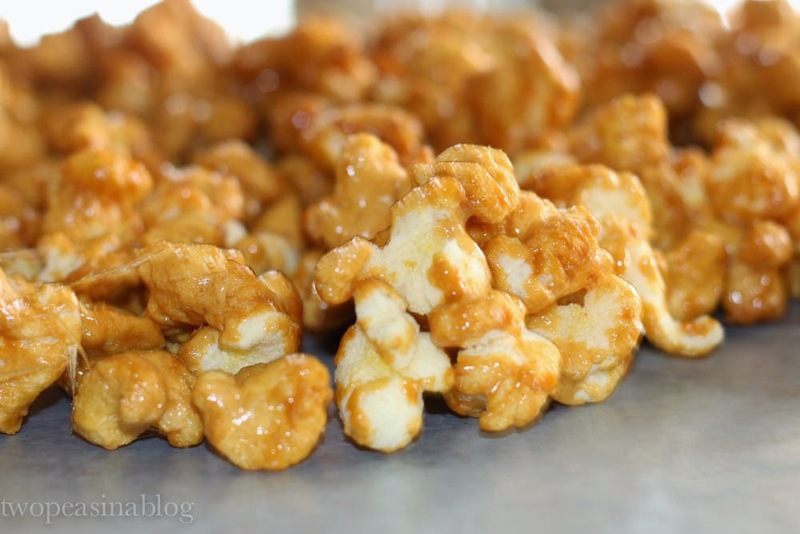 Did you know it makes the best caramel corn? 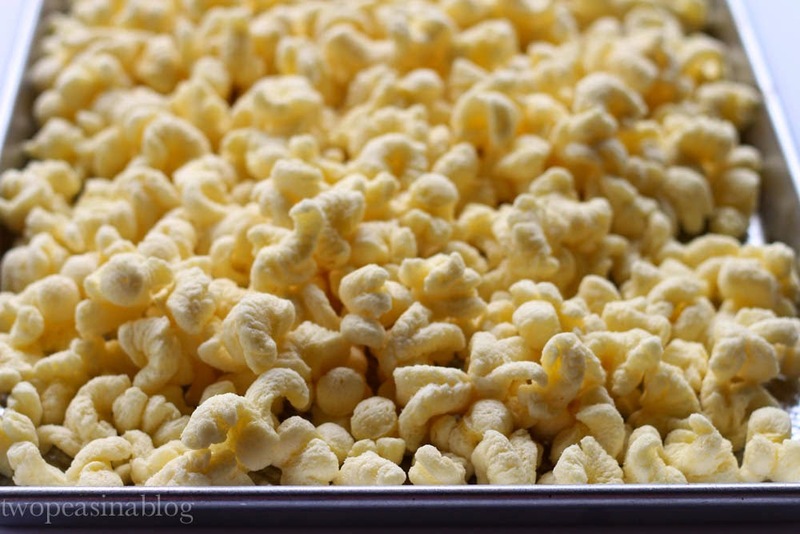 The best part is that there are no kernels to get stuck in your teeth. 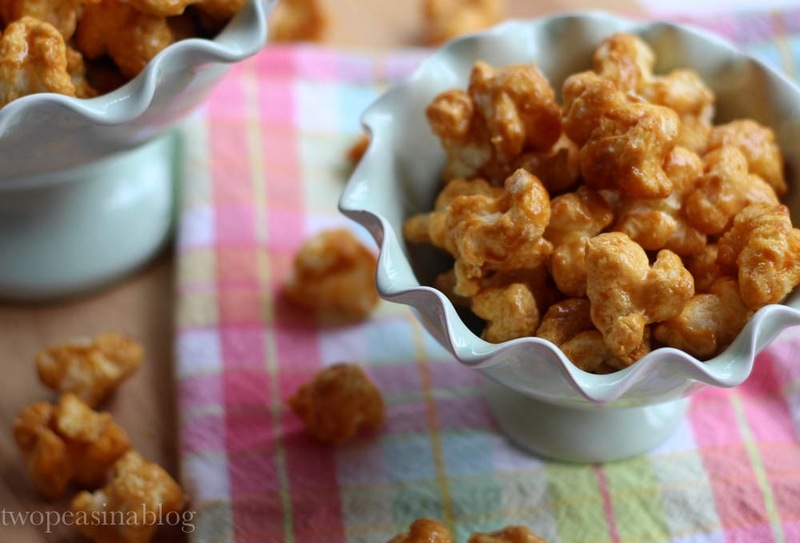 The popcorn is light and airy and the caramel is smooth and creamy. A wonderful match of sweet and salty! My husband and son love popcorn! And this treat doesn't last long in our house. 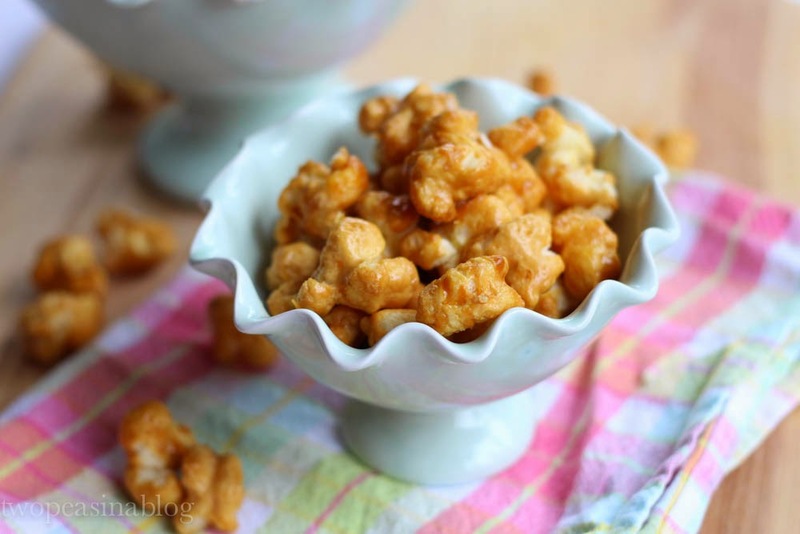 It is such an easy recipe, keeps well and is great for snacking. Spread puff corn onto large roasting pan. 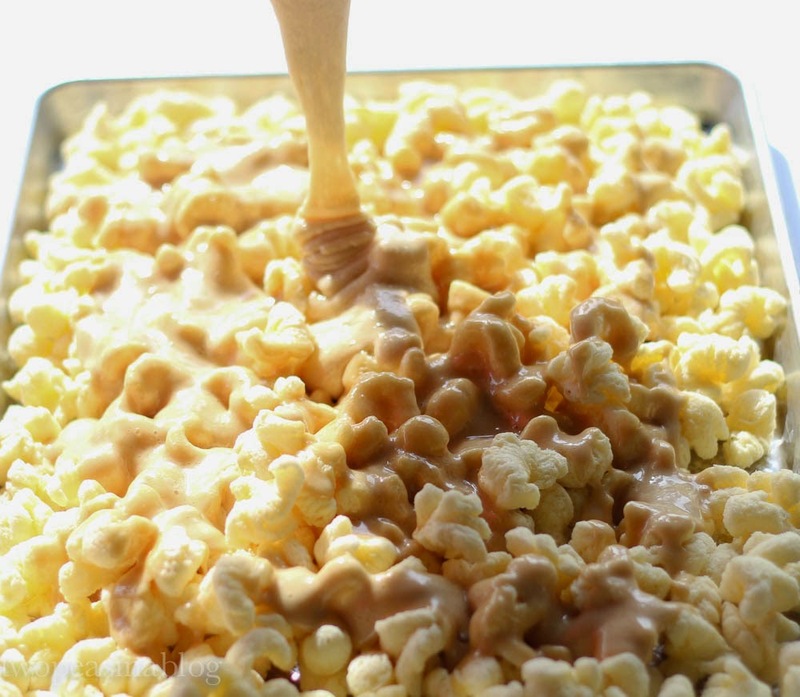 In a medium saucepan, cook butter, brown sugar and corn syrup until it boils. Boil for 2 minutes, constantly stirring. Add baking soda and stir until mixture foams. Pour over puff corn and gently stir until corn is coated. Place in 250* oven for 45 minutes. Stir corn every 10-15 minutes. 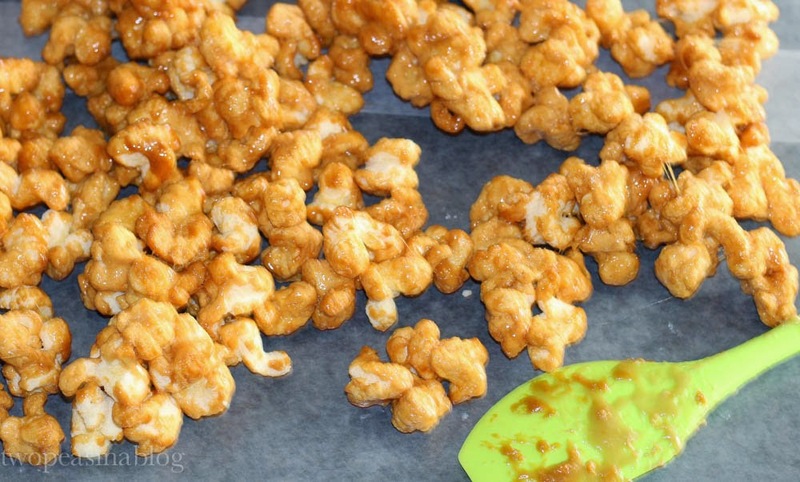 Remove from oven and pour onto wax paper to cool. You made need to gently break the corn pieces apart. *This recipe would also be delicious with peanuts stirred in. 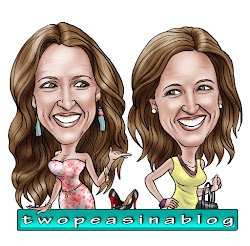 Switching topics…. 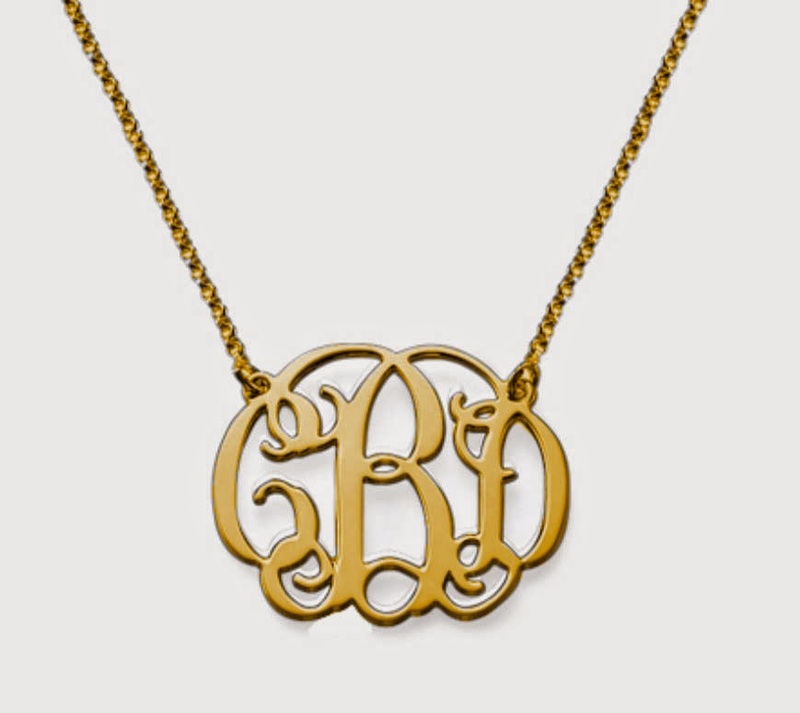 on to monongrammed necklaces! I have one and love it. 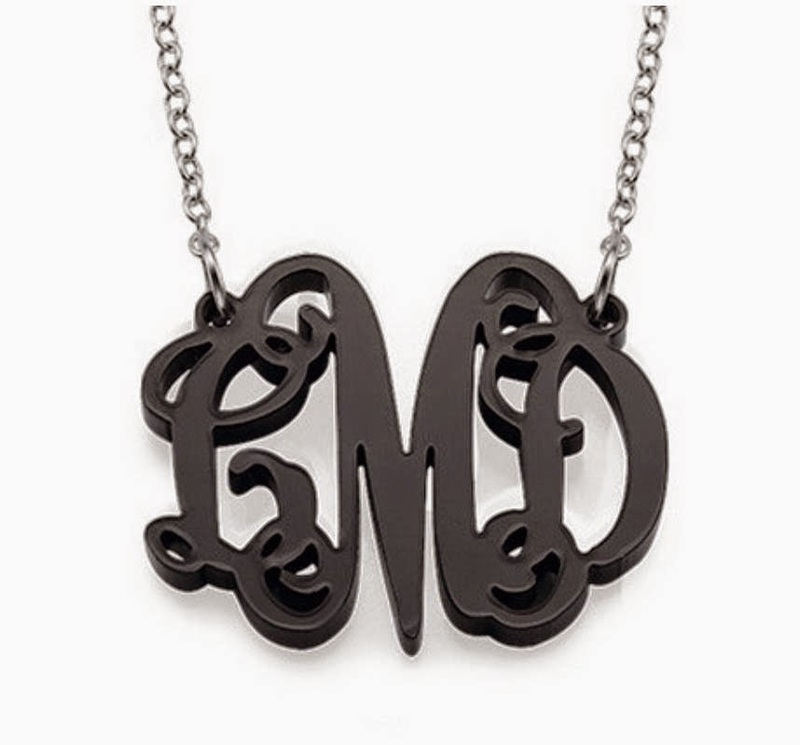 I got my monogrammed necklace from Moon and Lola, but lately, they are everywhere. And at all different price points. 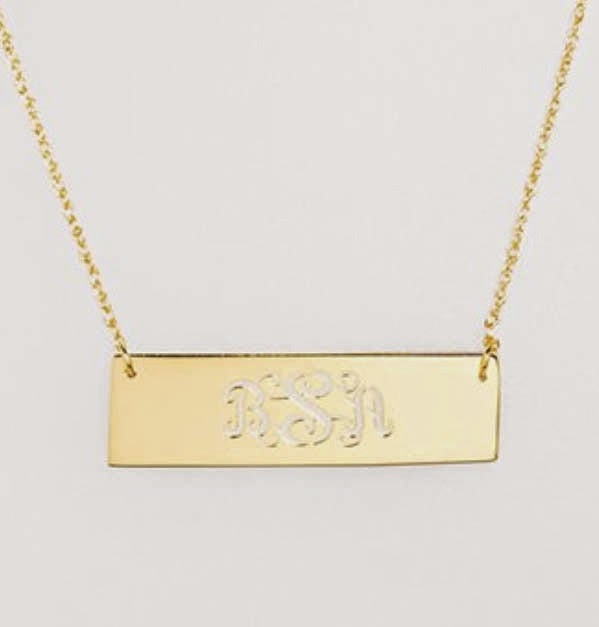 Here is my necklace from an instagram pic. 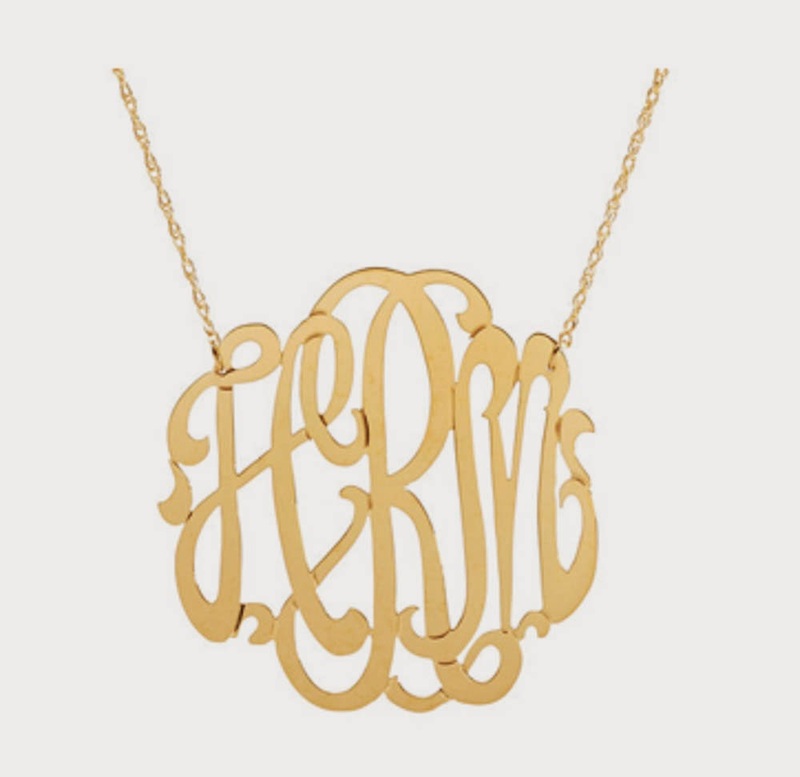 And I'm wearing it in this post in Feb.
We've linked some other monogrammed necklace options below. 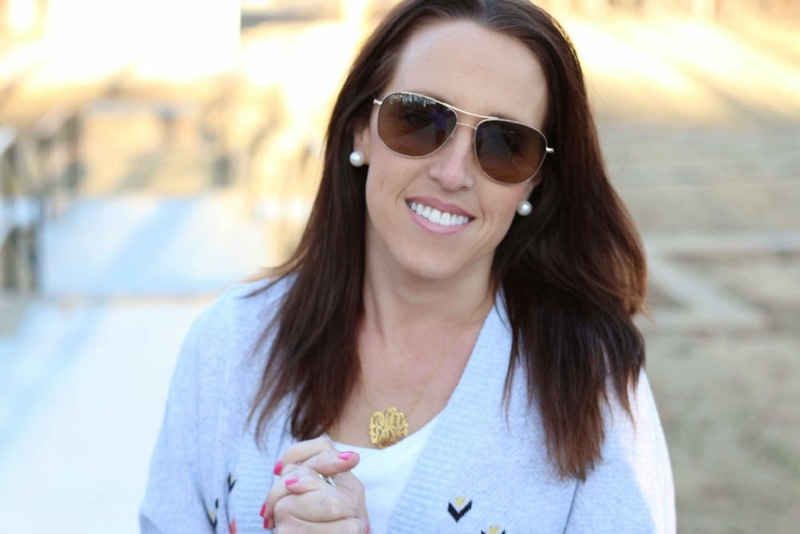 The acrylic necklaces are fun because there are so many color options to chose from. 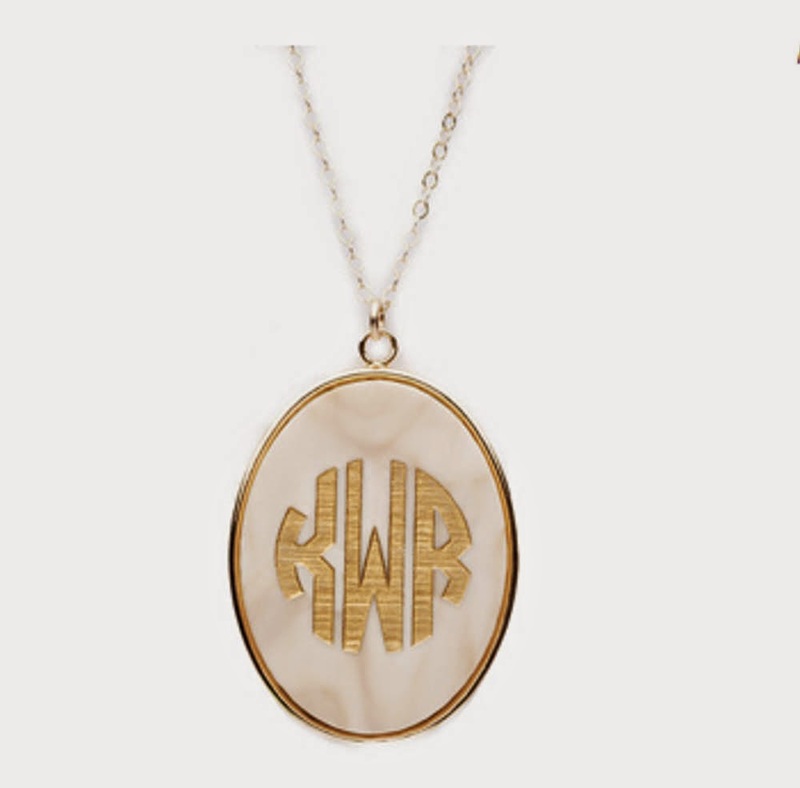 And how about the monogrammed tassel necklace? Defiantely on my cravings list!!! 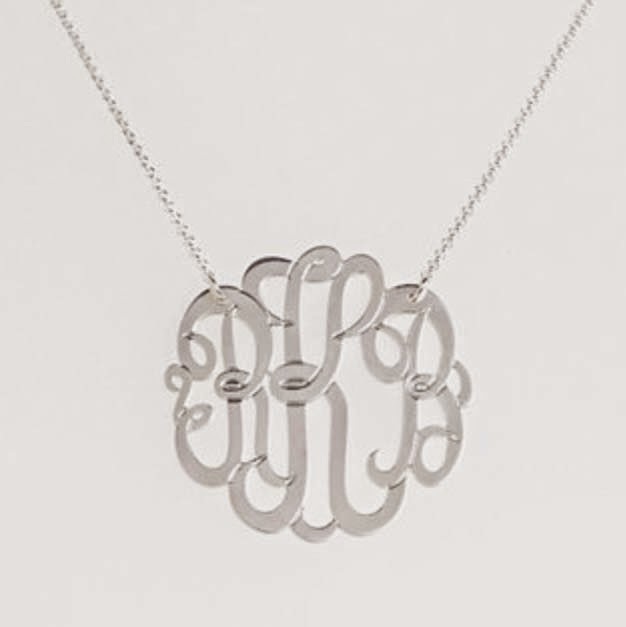 They are a great addition to your jewelry collection. 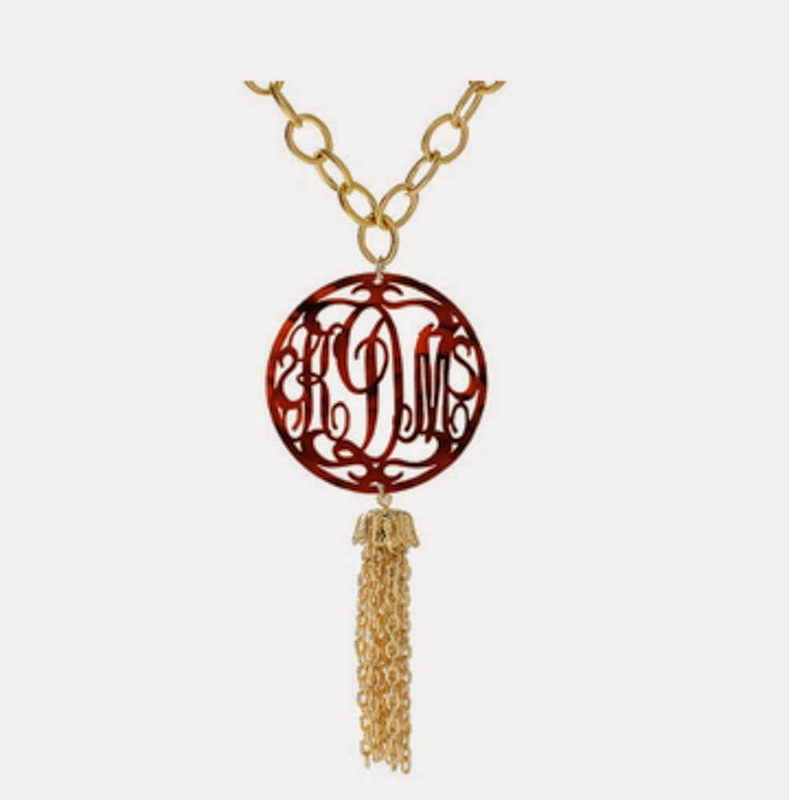 Moon and Lola: Rimmed Script Tassel Necklace (Many color options!) I'm drooling over this one.